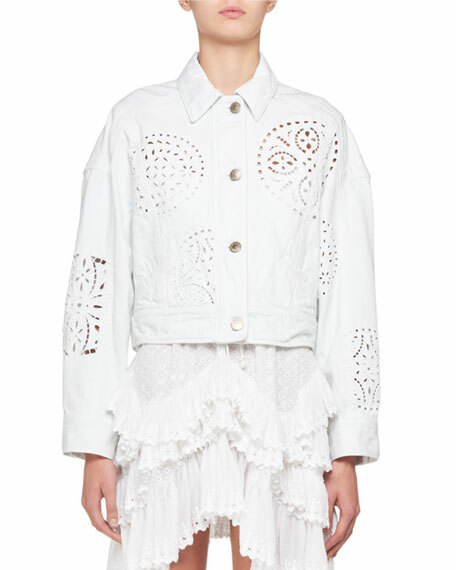 Isabel Marant jacket with embroidered cutouts. For in-store inquiries, use sku #2462891. Akris "Aloe" bicolor short jacket. Notched collar; open front. Wide elbow sleeves. Cropped hem. Cotton/nylon. Made in Switzerland. 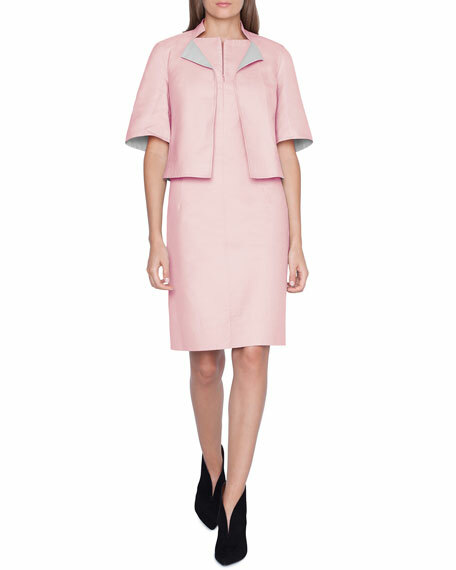 Band of Outsiders delave jacket with piping. Peaked lapel; one-button front. Long sleeves. Flap pockets. Linen. Made in Italy. Model's measurements: Height 5'8.5"/174cm, bust 32"/81cm, waist 23"/58cm, hips 35"/89cm, dress size US 2. 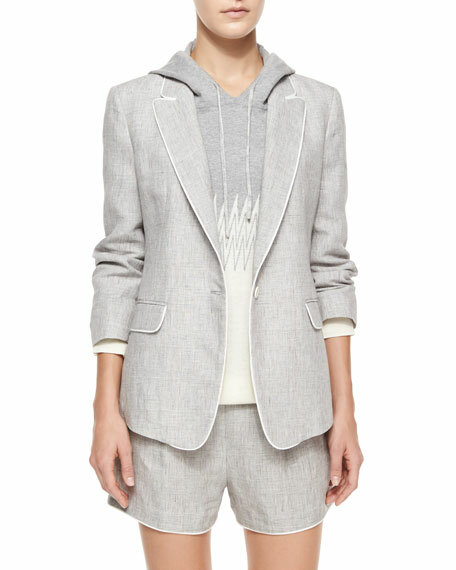 Eskandar jacket in embroidered heavyweight linen. Chinese collar; open front. Long sleeves. Wide A-line silhouette. Scalloped hem. Linen. Made in Poland from Italian materials. Eskandar long jacket in embroidered cotton-silk twill with semisheer insets. Open front. Bracelet sleeves. Cotton/silk. Made in Poland.